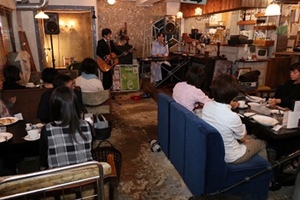 On October 15th, True Vine held a concert at a café located at north exit of JR Kokubunji station. 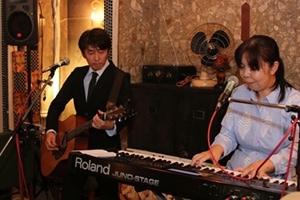 Many people gathered to one hour concert, and it was blessed so much. People bought our CD too, all customers were listening earnestly till the end.